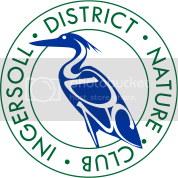 The Ingersoll District Nature Club enjoyed an informative afternoon at the Festive Social on November 25th. Winnie Wake from Nature London provided an overview of the plight of chimney swifts in our area, citing food shortage, habitat loss and climate change as impacting the endangered status of these mysterious little birds. Amazing aerial acrobats, chimney swifts have adapted over time from living in hollow trees to building chimneys. 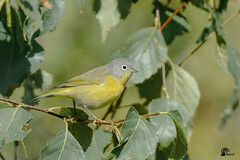 Listen for their distinctive sound at dusk in late spring, early summer during mating season in downtown Ingersoll. Following Winnie, Debbie Lefebvre, Swift Care Ontario, provided engaging stories about her rehabilitation efforts with injured chimney swifts. Thanks are also extended to Hannah Bosma and Taylor Brackenbury, students from Aylmer High School’s Environmental Program who attended Ontario Nature’s 2018 Fall Youth Summit. They regaled attendees with stories of the fun they had while learning more about the environment, and opportunities for advocacy. Hannah and Taylor were sponsored by IDNC. Activities for 2019 will follow before the end of the year. Be sure to visit our website for updates.